Today our Country is commemorating the centenary of the outbreak of the First World War. At 10PM this evening Jason will join the whole of the UK in lighting a candle to mark the occasion. 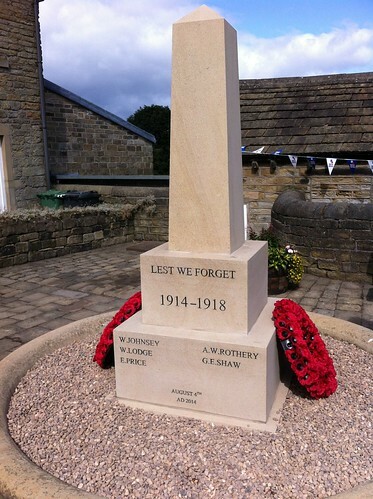 Yesterday Jason was in Farnley Tyas for the unveiling of a new memorial to the young men from the village who died in service between 1914 and 1918.